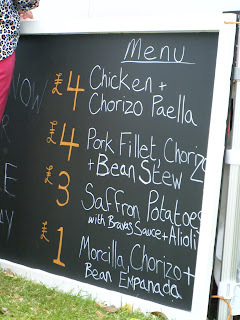 There are many great food festivals in the UK, I think there is one every weekend this summer, it makes me really happy to see people celebrating their local food. I have been looking forward to the first Shrewsbury food festival for months. 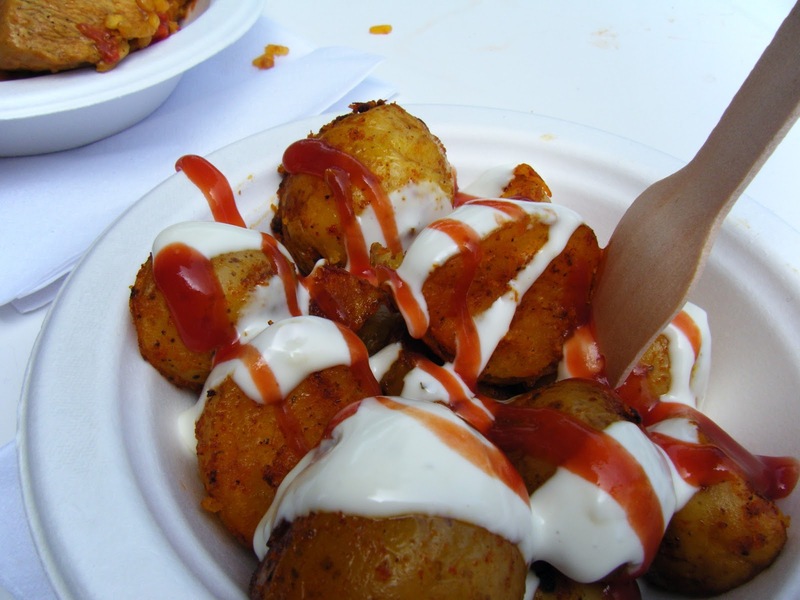 We moved to Shrewsbury at Christmas and Trevor found out about the first Shrewsbury Marathon which was great for him as he loves running and I found out about the first food festival perfect for me as I love food! I promptly applied to volunteer to help with the set up and drank up every tweet and post about the event in anticipation. As is so often the way, everything seemed to land on the weekend of the food festival and I was worried I might not get to attend at all but I made it on Sunday afternoon after The Race For Life. It was a lovely sunny afternoon and Shrewsbury Quarry where the festival was being held was very busy, it was tough to get properly speaking to the producers as there were crowds around all the stalls but I collected lots of contact details to follow up. There are so many great food companies within just a few miles of Shrewsbury that I didn't even know about, I wanted to make sure I'm not missing out. There were so many choice for lunch hog roast, duck wraps, Korean noodles, gourmet burgers. We ate a meaty paella, the staff were so friendly and welcoming despite the booth being rushed off it's feet, they took time to talk to everyone I sampled some chocolate goat ice cream too, I wasn't too sure on this one it was almost greasy and started to separate as it melted. Trevor had a lovely beer from the Ludlow brewing company. There were other food orientated activities going on around town too. The market Hall hosted a fringe festival of it's own with cooking demos, the independent cinema showed films centre around food and the church had pudding tastings going on. The whole town was buzzing with food, it was great. 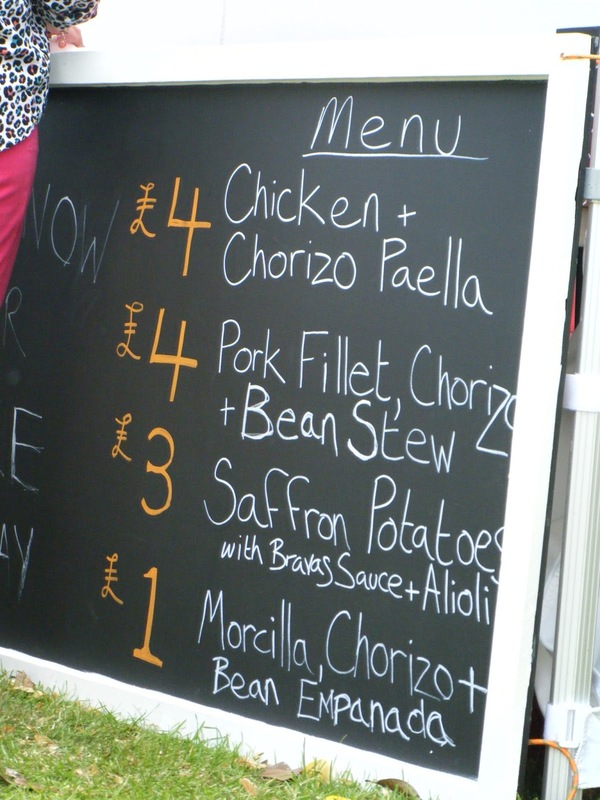 The good news is that the Shrewsbury Food Festival will be back next year and they are already reporting that it will double the size. While there are many food festivals in the UK the Shrewsbury Food Festival has already secured a special place in my heart, not just because it launched in the same year that I moved to Shrewsbury but also because it's celebrating truly local (to me) food, it's on my door step and I already regularly shop with several of the traders. It feels like we are part of something very special. I'm looking forward to watching the festival grow over the coming years.